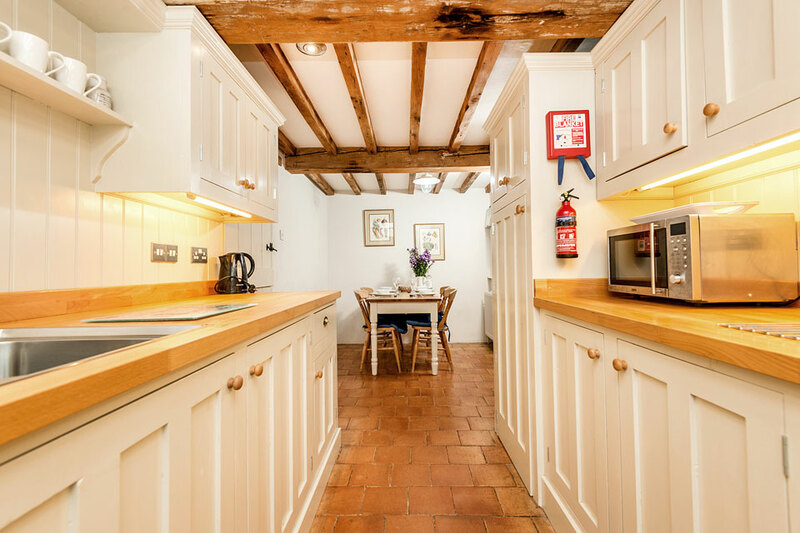 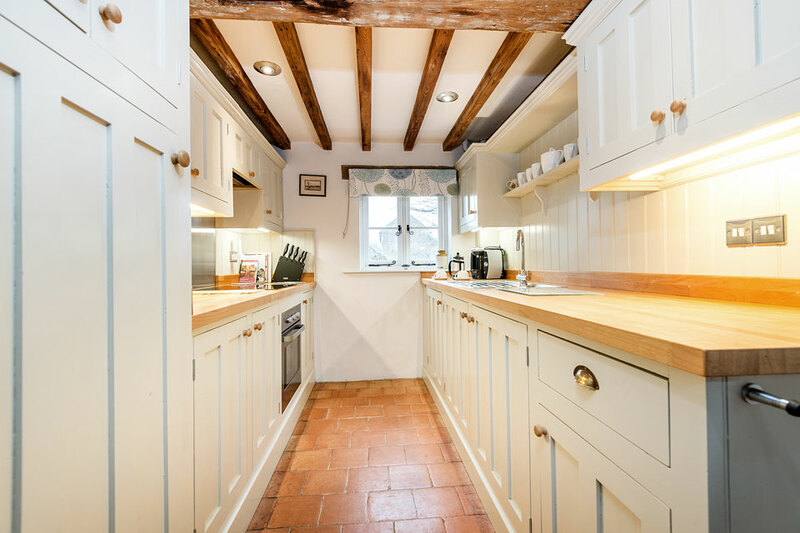 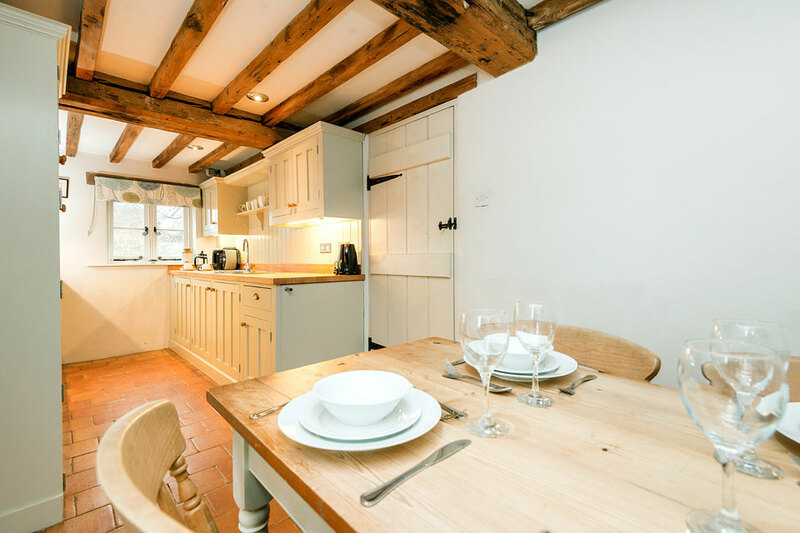 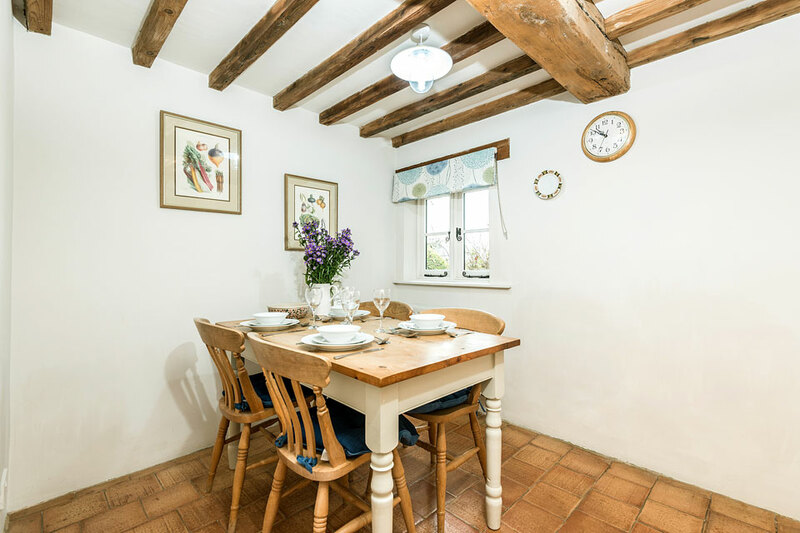 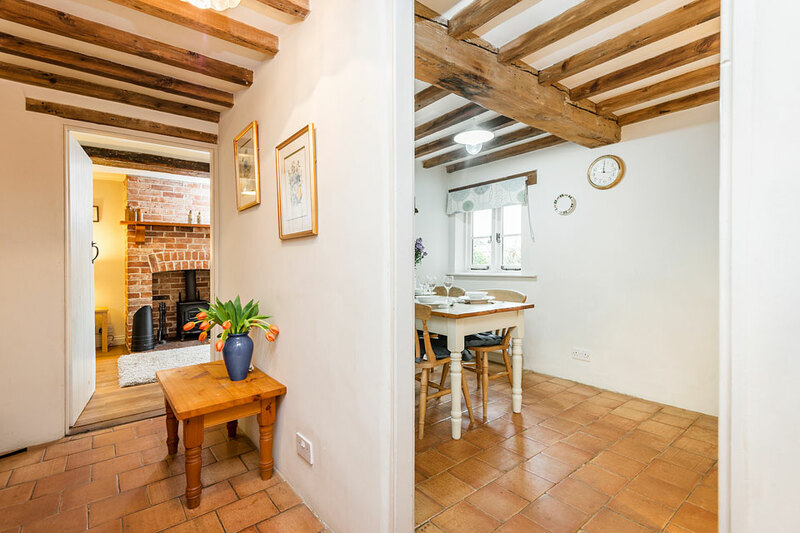 Part of a pair of charming properties situated in the hamlet of Wickmere this cosy cottage is ideal for both couples and small families. 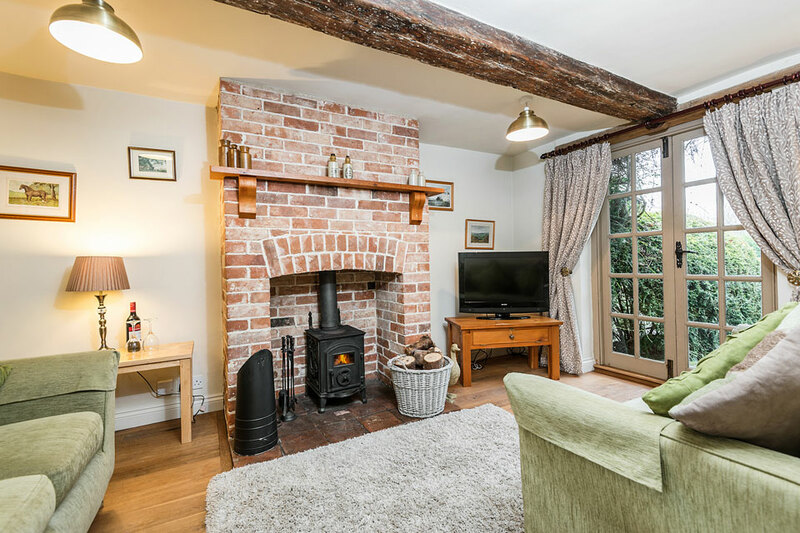 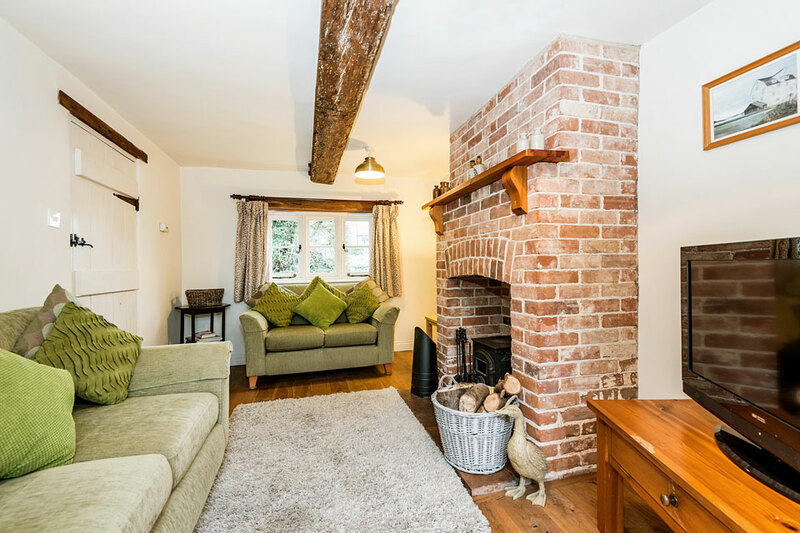 The warm, inviting living room is comfortably furnished in a rustic style enhanced by the impressive inglenook fireplace and log-burner – ideal for curling up in front of on a chilly night! 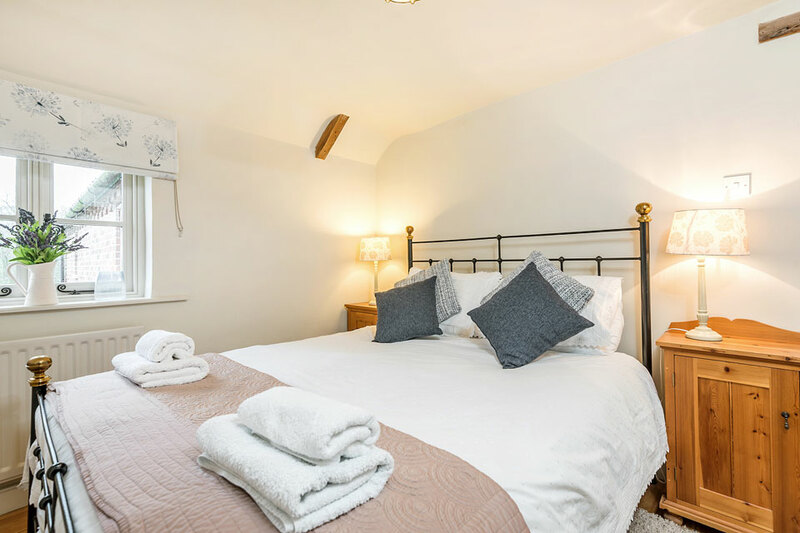 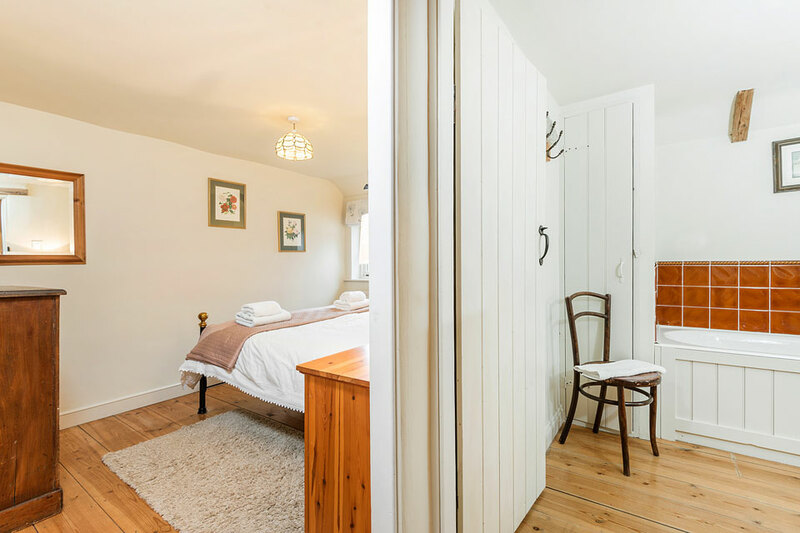 Upstairs are two generous cottage bedrooms, both tastefully decorated with pleasant wood furniture and polished floorboards. 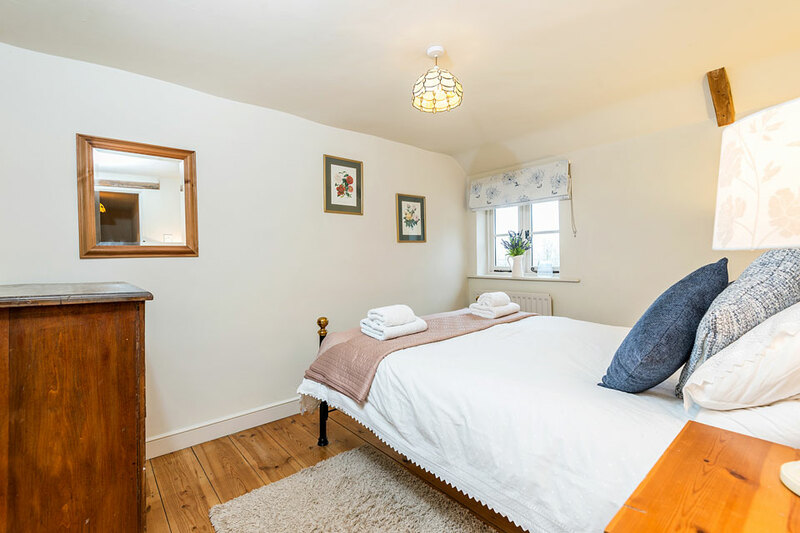 The master bedroom features a large, Victorian-style iron bedstead – plump and inviting you to enjoy a good night’s rest! 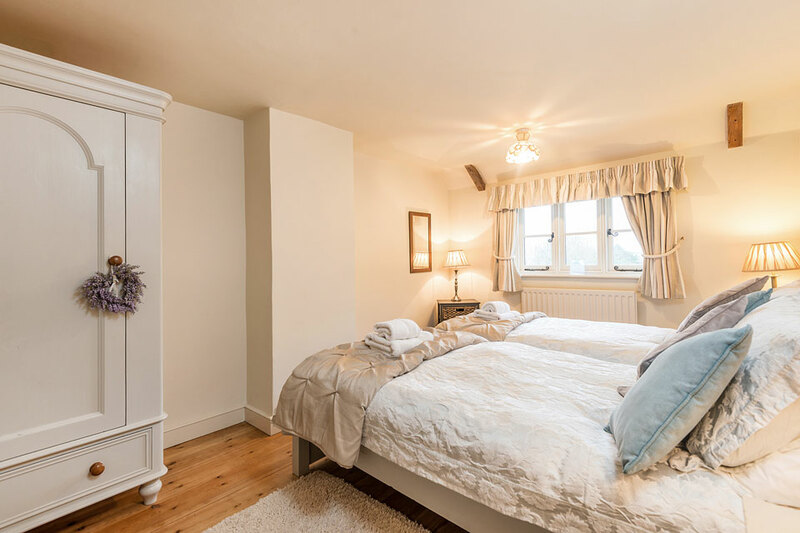 The second bedroom has the advantage of offering either two good-sized twins or joined to make a king-size bed. 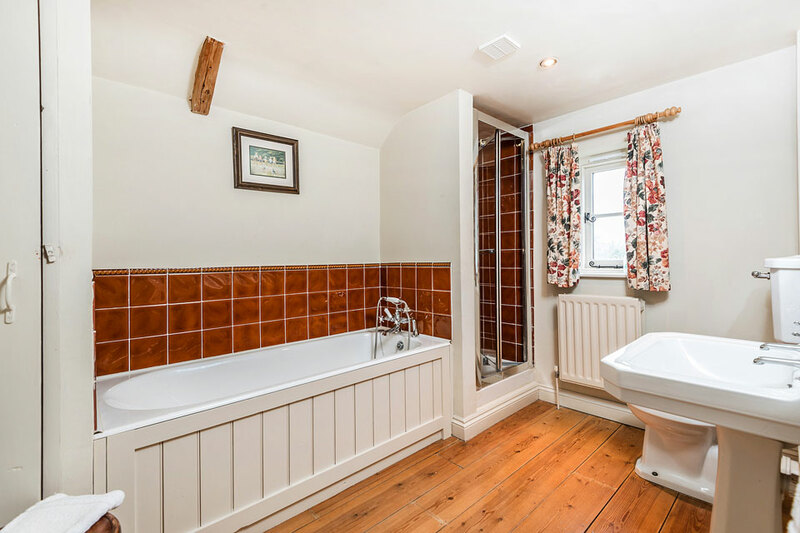 The family sized bathroom indulges guests with a bath and separate shower to give you a choice of bathing options and is attractively part wood panelled. 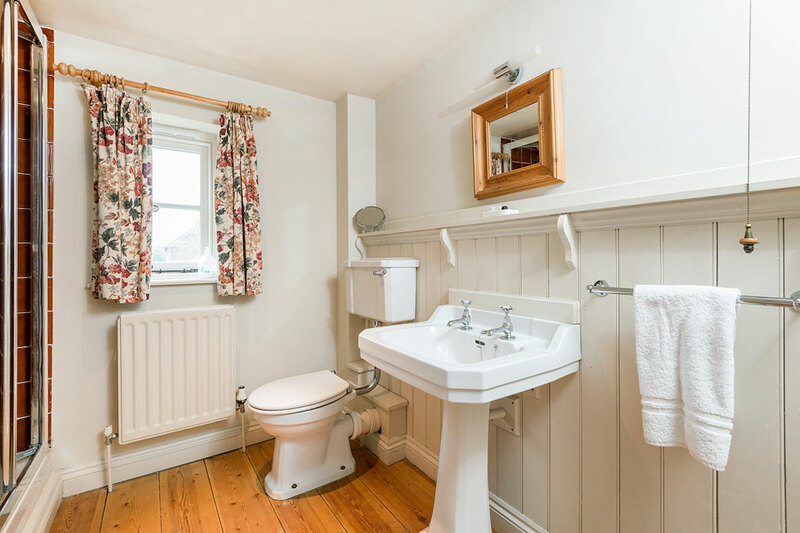 Another WC and wash-basin can also be found downstairs. 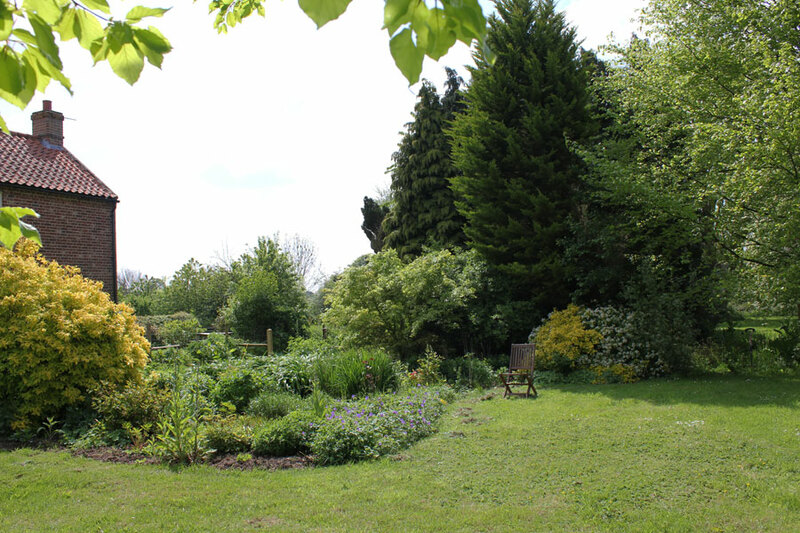 Off road under cover parking. 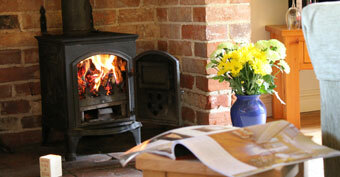 We do welcome dogs in Swallow Cottage one, please see our terms and conditions. 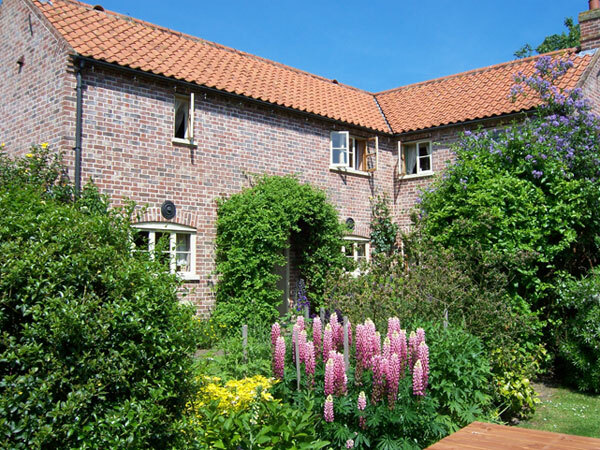 The cottage has its own enclosed garden. 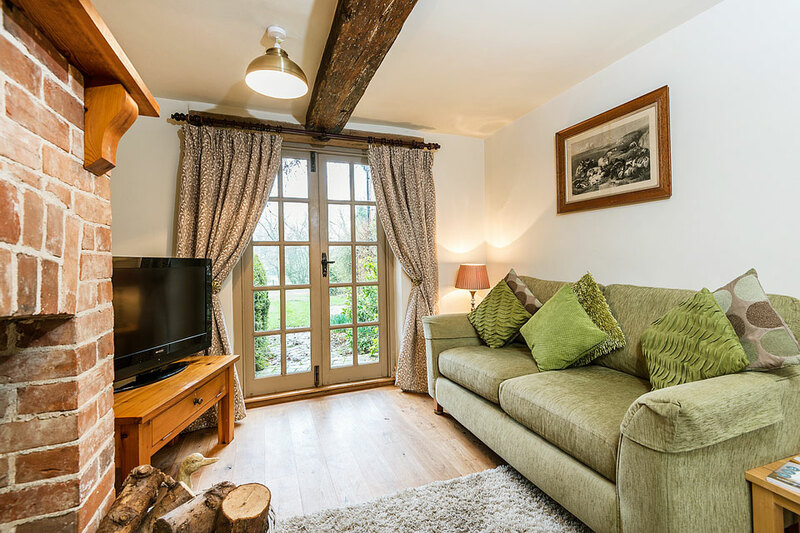 Together with Swallow Cottage 2 these attractive and memorable rural cottages are also suitable for larger groups who would like to holiday jointly.